In filing for Chapter 11 protection on December 16, discount retailer Loehmann’s Holdings Inc. joined the unique club of “Chapter 33” filers – those companies that have utilized Chapter 11 protection three times. The company first sought Bankruptcy Act protection in May 1999, emerging in October 2000 with 25 fewer stores. Then, 10 years later, in November 2010, the company again filed for Chapter 11. It emerged in March 1, 2011, with $45 million in new financing and the elimination of $110 million in long-term bond debt. It also closed nine underperforming stores and successfully implemented $23 million in cost-saving initiatives. Today, the 92-year-old company has just 39 stores, selling designer wares at prices it claims are 30 percent to 65 percent less than those found in department stores. Among the designer names are brands such as Calvin Klein, Donna Karan, Theory, Michael Kors and Dolce & Gabbana. Thayer adds that, over the past several years, Loehmann’s has implemented strategic and operational initiatives that initially yielded positive results, including improving inventory turnover, reducing expenses, and reactivating lapsed customers. However, he says the decline in economic conditions in California, the New York region, the Midwest and Florida had an adverse effect on its financial condition. Despite this poor performance, the company makes some very interesting – and possibly surprising – assertions about its customer base. The first is that its core customer base is mostly affluent women between the ages of 18 and 54 with household incomes in excess of $75,000. 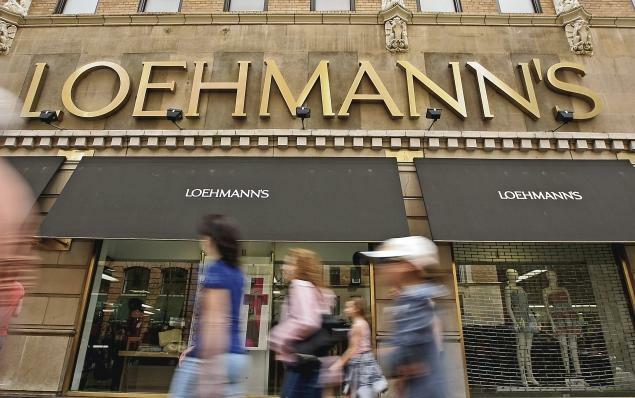 Loyalty customer sales account for approximately 65 percent of Loehmann’s sales, with the Gold Card portion of the program generating $6.6 million in net annual income. The company has approximately 200,000 “Best Customers”; it says many in the classification have been customers for more than 10 years. Collectively, this group averages approximately $26.8 million in annual purchases, purchases goods an average of approximately three times a year and represents approximately 10 percent of the company’s annual net sales. Loehmann’s also notes that it holds a robust customer database, totaling more than six million names, and that more than 80 percent of these customers have been active during the past three years. Given this “robust” customer database, the company’s online underperformance is particularly noteworthy. “Loehmann’s was late in introducing the e-commerce channel relative to its peers in the ‘off-price’ retail sector,” Thayer says, adding that the company’s website wasn’t launched until November 14, 2011, and only after less than six months of development. In September 2013, Loehmann’s re-launched an enhanced site, and has enjoyed some success, with online net sales since inception totaling approximately $22.5 million. Visitors are up 18 percent and the conversion rate is up 20 percent.